5 Delicious Facts About Love Sugar Magic: A Sprinkle of Spirits + GIVEAWAY! | YAYOMG! 5 Delicious Facts About Love Sugar Magic: A Sprinkle of Spirits + GIVEAWAY! 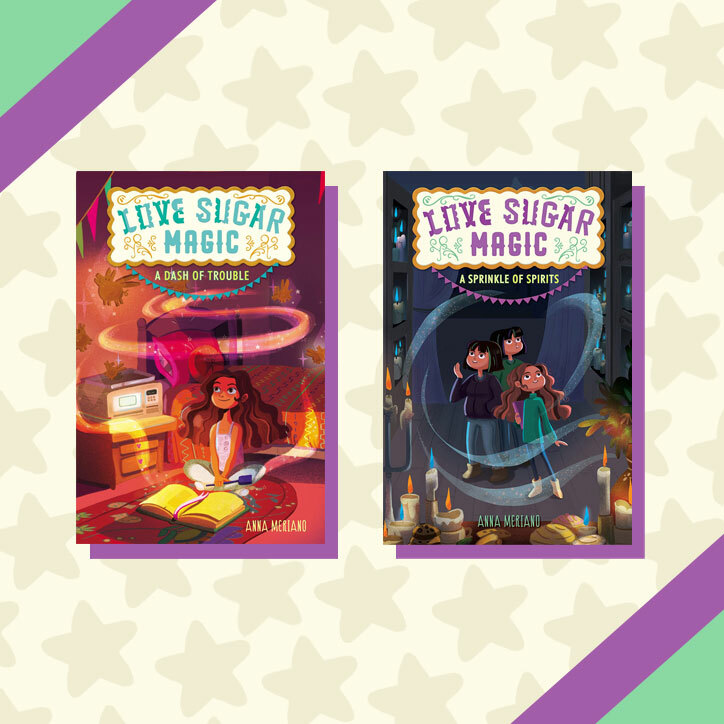 If sisterhood and witches and magic and pastries are a few of your favorite things, then you’re going to absolutely ADORE the Love Sugar Magic series. The series kicked off last year with A Dash of Trouble, as Leonora, the youngest of 5 sisters, discovers the magic that runs deep within her family and herself. 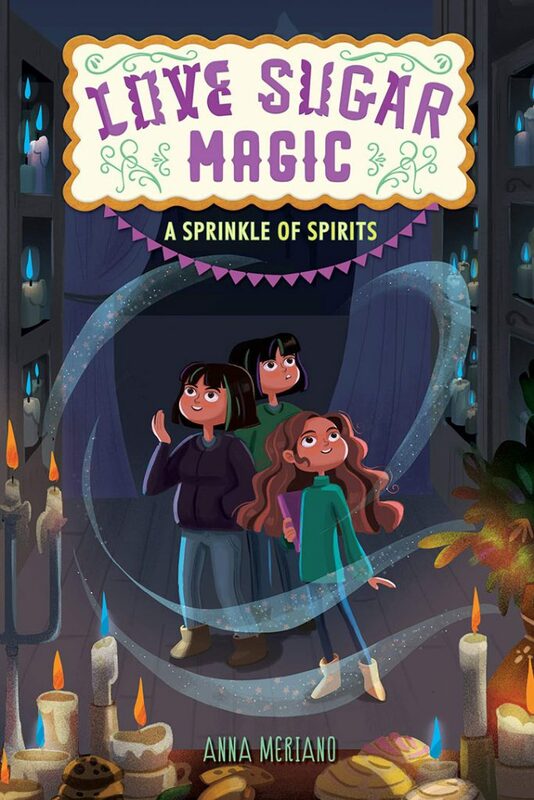 The sequel, A Sprinkle of Spirits, is out today and we’re so excited to see what’s next for Leo! With unsettled spirits popping up all over town, including the spirit of her abuela, Leo will learn more than ever about the magical community that she is now a part of and her identity as a bruja. 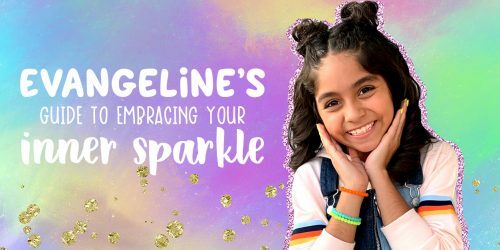 Will she be able to balance family, friendship, and magic? If this all sounds absolutely delectable to you, then you’re in luck! 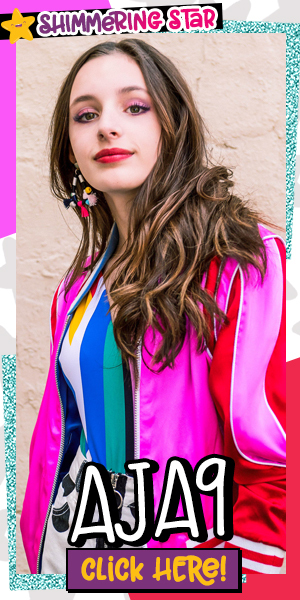 Author Anna Meriano has shared five fun facts about the Love Sugar Magic series. PLUS, we’re giving away a copy of BOTH books in the Love Sugar Magic series, so be sure to scroll down for your chance to win! This is the second book in the Love Sugar Magic series, which means that instead of sneaking around to do magic, Leo (the main character) is working with her family to cast spells and solve problems. There are still plenty of secrets flying around in this book, but in general, Leo keeps secrets with her family instead of from them, which is usually a lot easier. Leo is the youngest of five sisters, and she looks up to all her older sisters in different ways. But sometimes, like in the second book, they give her advice that might not be the best for her. Leo has to figure out how to make her own decisions and forge her own path, even when it’s hard to disagree with her sisters. Luckily, she has some help from an unexpected source. 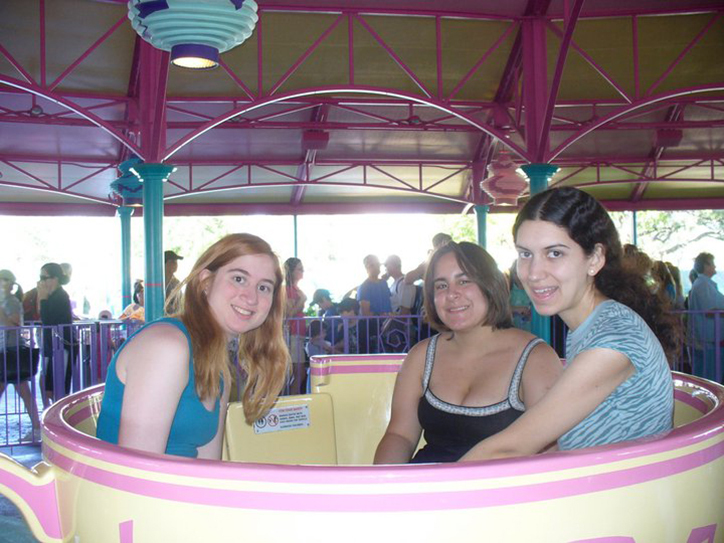 The character of Caroline, Leo’s best friend, shares her heritage with two of my real life best friends, both of whom are Costa Rican. 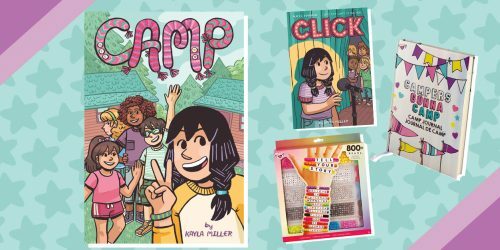 Although the books celebrate certain aspects of Mexican American culture, I wanted to include characters with heritage from other parts of Latin America as well. Plus, my friends and I also share Caroline’s experience of growing up part of two different cultures, which is something that Caroline gets to explore more in the second book! The first book took place during the week of Día de los Muertos, a traditional holiday celebrated in Mexico and other parts of Latin America, that’s gotten a lot of popular attention with movies like The Book of Life and Coco. 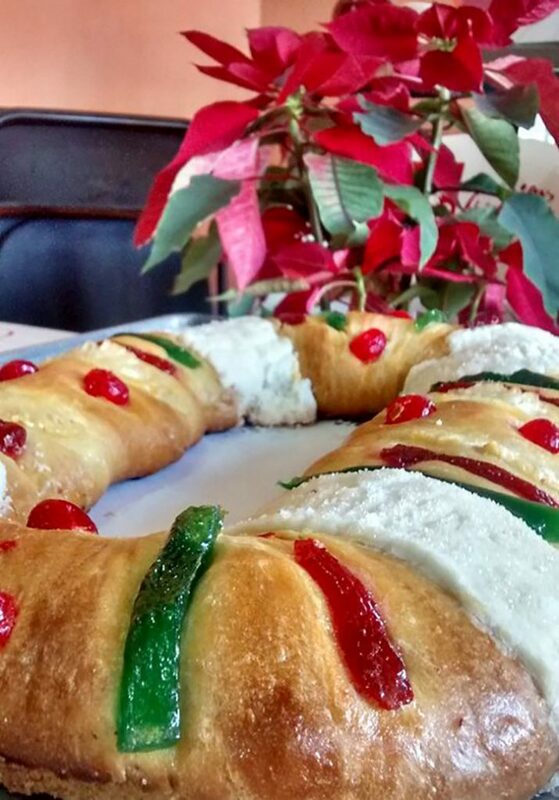 The second book takes place during another holiday, Día de los Reyes, which happens on January 6th and celebrates the day the Wise Men (or Three Kings) came to Bethlehem. It’s celebrated with a special type of cake, and some people even get their Christmas presents on that day instead of on Christmas. 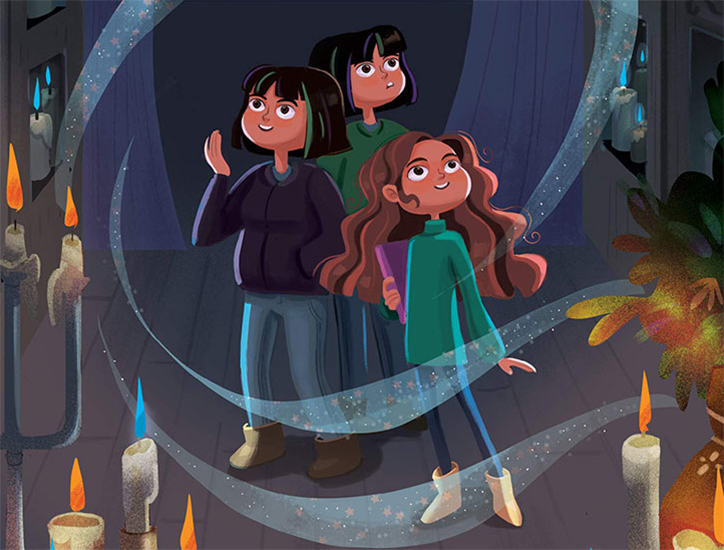 In book one, Leo learns that her family has magic connected with baking, and she hears that while not everyone is a bruja like her family, everyone has some special skill or talent that they can use to express their own type of magic. In book two she finds out more about this, and some of her family members even interact with other spellcasters. What’s your special skill or talent, the thing that you’re really good at and love doing? I’m pretty sure mine is writing! You must be 18 or older to enter. If you are under 18, please have a parent or guardian enter for you by filling out the form below by February 26! Giveaway begins on February 12, 2019 at 12:00 pm ET and ends on February 26, 2019 at 11:59pm ET. Open to US residents ONLY. Please, only ONE entry per person. Want to win even more amazing reads? Don’t forget to enter our Best Babysitters Ever Giveaway HERE!